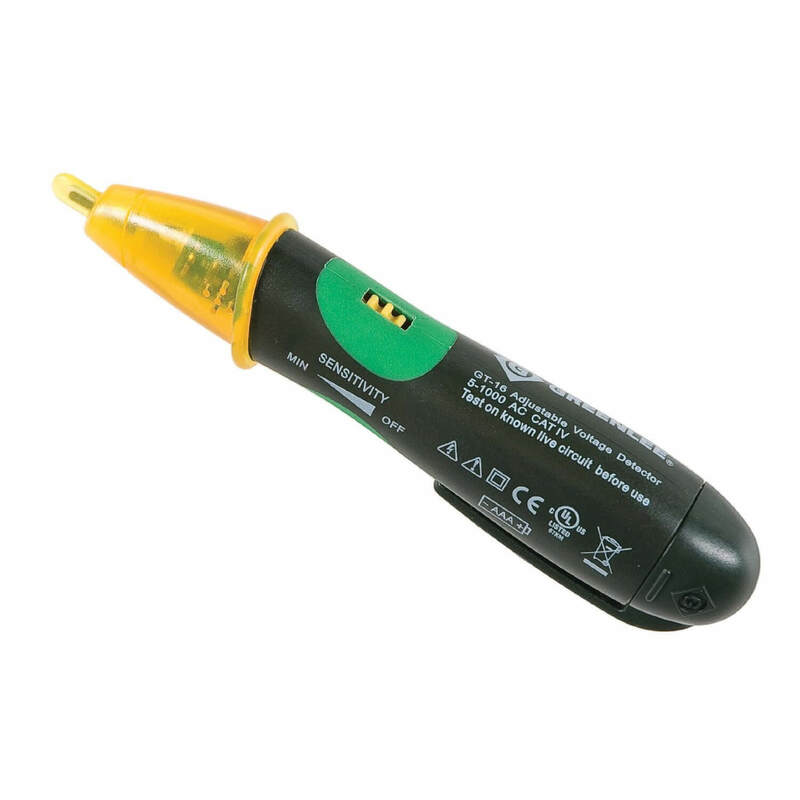 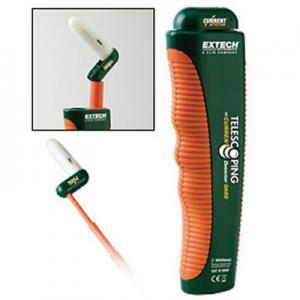 Extech DV20 AC Voltage Detector with Flashlight provides non-contact detection of AC Voltage from 100VAC to 600VAC and is appropriate for outlets or against wire insulation testing. The Extech DV20 AC Voltage Detector includes a rugged, double molded case for durability and pocket clip for convenience. Flashing red LED light indicator provides notification alerts and built-in flashlight allows for use in dimly-lit spaces. 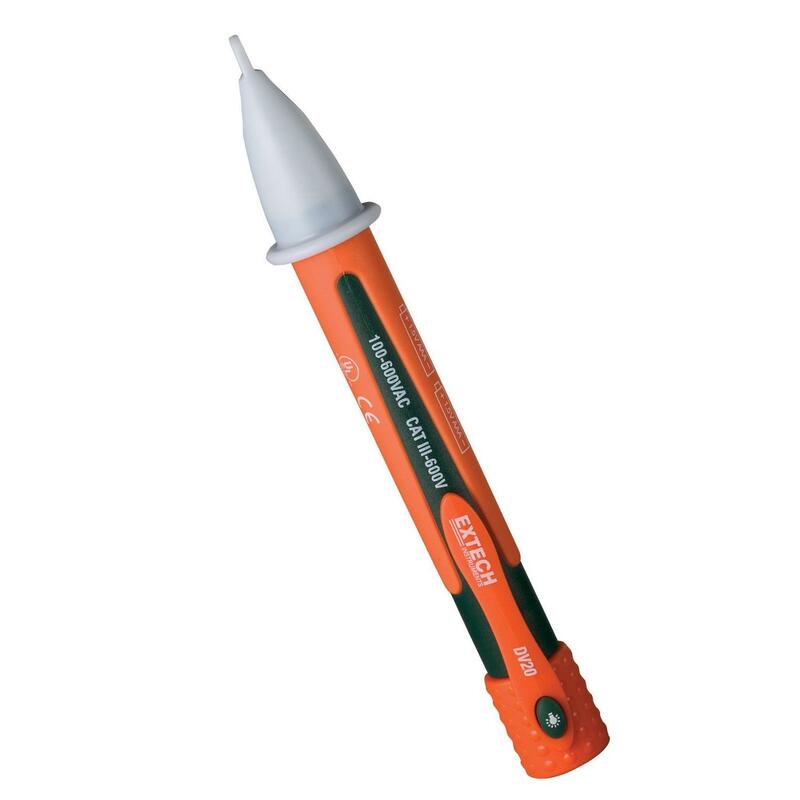 Two AAA batteries included.